Sharing my Chocolate Peanut Butter Sandwiches from Disneyland with you today! One of my favorite treats to pick up at Disneyland Park. Love making Disneyland Copycat Recipes for all of us! Talk about the Best Disneyland Food there is! You are in for such a treat with my Chocolate Peanut Butter Sandwiches from Disneyland! 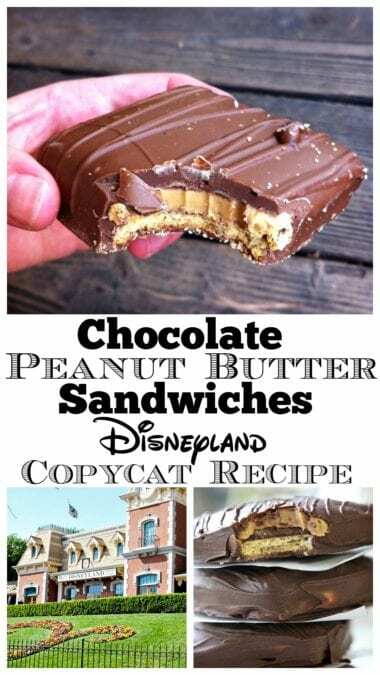 See more Disneyland Copycat Recipes HERE. Be sure to follow Disney Hungry on Instagram for The BEST Food At Disneyland! We LOVE visiting Disneyland Park! There are so many amazing treats to try. The beloved Chocolate Peanut Butter Sandwich from Disneyland Parks! Note, Disneyland has a new version of the Chocolate Peanut Butter Sandwich, not quite as good as the original they used to sell, but still a fun option. I like my homemade version better than the new version served at the Parks. Find these Chocolate Peanut Butter Sandwiches at the bakeries around Disneyland Resort. Pooh Corner in Critter Country is my favorite place to pick up snacks! I was very happy with my homemade version! 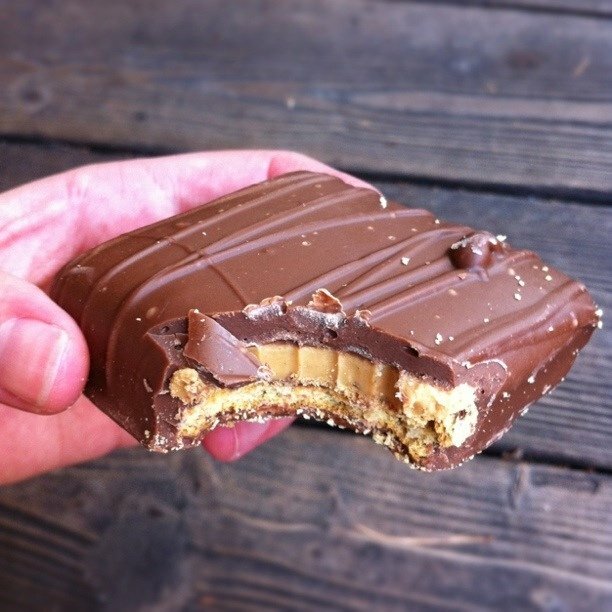 You can’t tell very well in the “Disneyland” version, but there is a thin layer of chocolate between the peanut butter and graham cracker. Dip each graham cracker into chocolate and let set up on wax or parchment paper. Stick in the freezer for a few minutes to speed this up. Spread 2 tablespoons (or a cookie scoopful) of peanut butter over the top of each dipped graham cracker then place in the freezer for 10 more minutes. This step is important. While the peanut butter is freezing, remove chocolate from heat and stir, so it cools slightly and thickens up a touch. Slowly and carefully spoon melted chocolate over tops and sides of peanut butter. This is where the patience and work comes in. Use a small spoon working the chocolate around the edges and sides. You'll then use a little plastic knife to run the chocolate around the edges and clean it up a little. Let set up, (stick back in the freezer for another 10 minutes) then with a spoon, drizzle chocolate over top to get the "lines" you see in the pictures above. (If your chocolate is too thick at this point, set it back over the double boiler so it melts a little bit). My reviews...Definitely keep these chilled just like Disneyland does, they melt rather quickly once your fingers get on them. It was tricky to get mine to look quite as pretty as the Disneyland ones, but with a little patience you can do it! Have fun and keep them chilled! And the shot of you w/ your boys is just wonderful. Saw the post on Amanda’s blog the other day of you and her, Marla, and gang in NOLA and it also looked sooo fun! And Instagram. I am the only iphone user who doesn’t use it. I should change that, huh! Oh my lordy bees.. These look so, SO good! Thank you for sharing!! Love your Disney photos, adorable! Also love that chocolate peanut butter sandwich! what a fun little adventure! i love disneyland, although i’ve never had that sandwich before. sounds amazing! I love everything about Disney – it’s probably my favorite place ever. Great job on the recipe – I love it when people recreate “special” treats/meals that you can only get one place! I’ve never had the real thing, but I too am obsessed with peanut butter and chocolate. They look great! WOW! These look sooo awesome and easy to make! I cannot wait to make some of these scrumptious delights! Instagram..haven’t tried it, just might have to! Thanks for yet again another amazing recipe! These look delicious! My husband is chocolate peanut butter fanatic as well. Perhaps I’ll make him a treat 🙂 I’m with you on the instagram app too! LOVE that app! Yum! I’m thinking of a 4th of July dessert… I’m also thinking this might be great with a marshmallow with or instead of the peanut butter… I know what I’m doing this weekend. Jenny, Those look amazing! Thanks for sharing a little bit of Disney with us:) We already follow you on Instagram. I am in love with the app as well! Find Kim and I under “Outathyme”. Wow those look so much like the Disneyland ones! Beautiful and tempting. I could probably go for one right now….although it’s only 7:30 in the morning…ha! I’m planning on going to Disneyland in November, so I think I will have to track down Pooh Corner and try these out. But first I’ll make these for a party we’re having so I can compare! These look dreamy! Can’t wait to try them. Love seeing your Disneyland pics. I wish I lived close by!! These look absolutely delicious. Makes me want chocolate and peanut butter for breakfast! Oh my goodness! I’m a strong believer that Disneyland is the happiest place on Earth and have been there a ton of times…yet, why have I never stopped at Pooh’s bakery to try these?! They look amazing. I cannot wait to make them! These look awesome! I might half the graham cracker to make a snack size version. YUM! 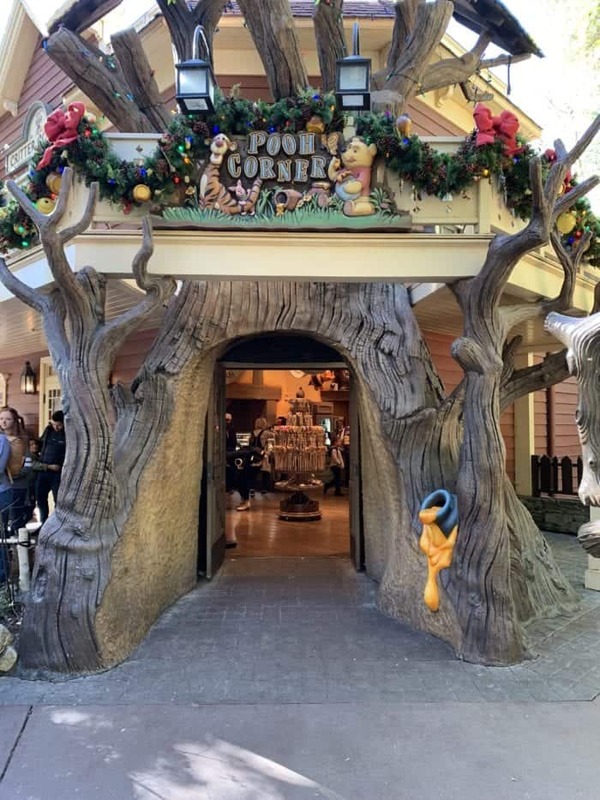 Have you tried the Peanut Butter chunk cookies at Pooh Corner? They are DELISH!!! I can’t wait to try making these. Thanks for sharing! I am definitely trying these! 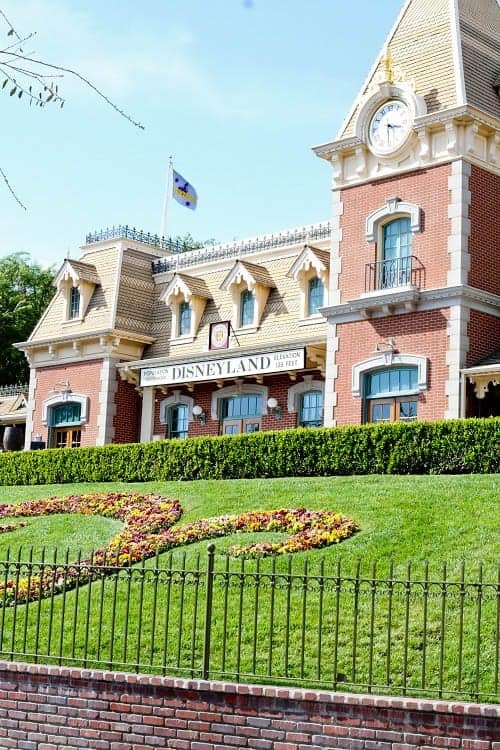 We love Disneyland so much, but we have to save for two years in order to go there! We are on our first year of saving for the next trip because I could seriously live there. I am dreaming of the Monte Cristo sandwich as I write this! I love your pictures, too. Miss you much, neighbor! Looks delicious! I made something like that the other day only mine had a layer of marshmallow fluff on top of the peanut butter. It was to die for. Thank you so much for the recipe!!! I haven’t stopped salivating since you posted the first picture of them. I’m curious what they charge for these at Disney Land?? Loved the pictures! Have to look for that app. Also, I am so looking forward to trying your version of the chocolate peanut butter sandwiches as well as Disneylands’s. I have to wait for summer to end to go again as my pass is not valid during the summer months. So when August hits, I’m heading to Critter Country! Thanks for your recipes! BTW, a friend at work, her cousin is one of the hillbillies. I had such a blast when I went to Disneyland, but ended up spending $18 for mac n’ cheese. Not cool! The Soarin’ Over California ride was great, but it made me so motion sick that I had to close my eyes for the last half. hahaha So lame of me! Had these and are my favorite too. Gonna make them today – I might add a bit of powdered sugar to the pb to thicken it up a bit. Oh these make me want to go to disneyland even more. i’m trying to get my husband to go make a trip down there this holiday season. I’ll just make these cookies and tell him if he wants more he’s just going to have to go down there and get them himself. thanks! I need to go back to Disneyland! Seriously! Ooh these look yummy and i agree too tasty to just enjoy at Disneyland. Ive only ever been to Disneyworld in Orlando before but love it!! Really want to try the california one though, im such a disney fan! Thank you for sharing this!! I was drooling when I saw the picture on facebook. Your cookies are identical! I want these! oh dear. these look heavenly. we are headed to disney soon… but i think im going to have to make these sooner 🙂 thanks for sharing!! Any preferences on what brand of chocolate to use? I will definitely be making these this weekend! Being an East coast girl, I’ve never been to Disneyland – only Disneyworld. So it’s neat to see all of your pictures from your day trip – thanks for sharing! Yum! Looks tote delish! You are sooo lucky that you live near Disneyland! Wow. I’m super impressed. I hope you ate every last one of those, and didn’t give any of them away:) The second batch you can share. 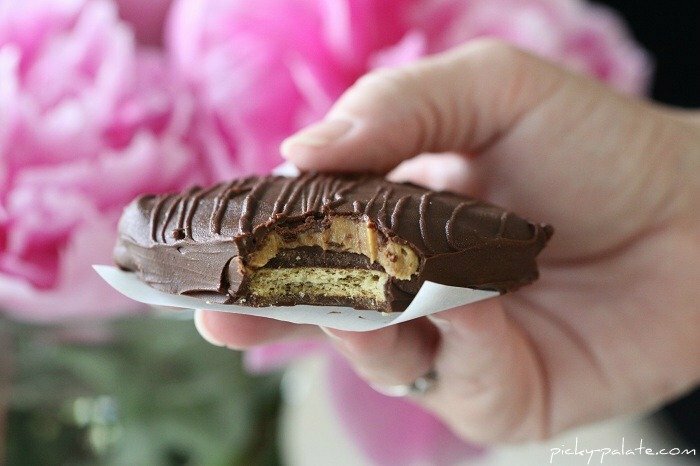 I absolutely love peanut butter and chocolate together! I’m going to have to try these very soon! Your boys are beautiful 🙂 And so are those biscuits!! Probably no better combination than chocolate and peanut butter! How fun! You’re like the Disneyland Queen. Do they recognize you there?? 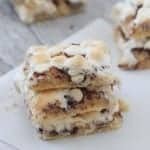 I love this treat- so completely decadent and perfect and Easy! Wonderful recipe! Looks soooo yummy! Can’t wait to try! Your pictures are great, too!! I find errors in this blog a bit, but it caught my attention, after I thought I would let you know, I really like it. I like this post, and will tell my friends this site. It is I rarely find in the Internet as entertainment and you have something interestinghere. Your page is lovely, your graphics highlight, not to mention that you refer to, the use of relevant what you’re talking. Of course you are a in a million, good! I always forget to use my Instagram iPhone app. Need to remember that it’s there as you’re photos turned out great. 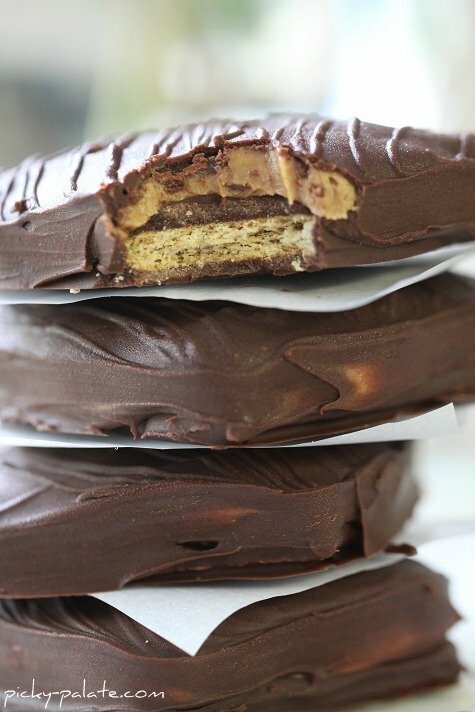 I think I need to make these chocolate peanut butter goodies too! You must start using it Mrs. L 🙂 You’ll be hooked instantly. I have zero patience in the chocolate drizzling department, but I love everything peanut butter, chocolate and graham cracker. I need to make these ASAP! !